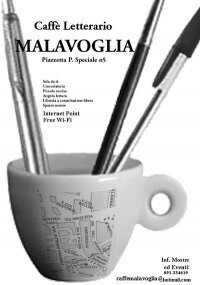 Cafè Malavoglia is really famous for the Erasmus "aperitivi", meeting point of our organizations for some years. It is a very nice, quiet and cozy place in the heart of the city. There are sometimes live concerts, it is possible to watch the football matches of the Italian, Spanish and English league. There is a free wireless connection. A very good place to meet friends or spending some hours before going to dance.